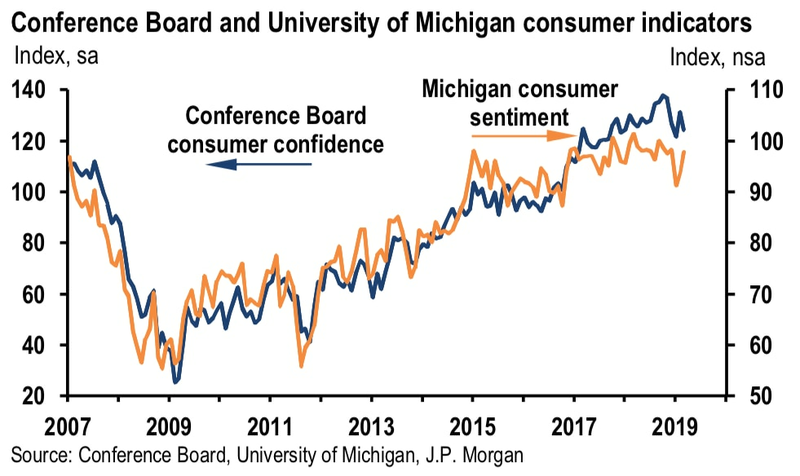 "Confidence has been somewhat volatile over the past few months, as consumers have had to weather volatility in the financial markets, a partial government shutdown and a very weak February jobs report," said Lynn Franco, senior director of economic indicators at the Conference Board. "This would be consistent with weaker job growth and a stable unemployment," said Ryan Sweet, an economist at Moody's Analytics. "Overall, a number of signs point toward cooling in the labor market recently but some cooling doesn’t mean the job market is about to freeze."